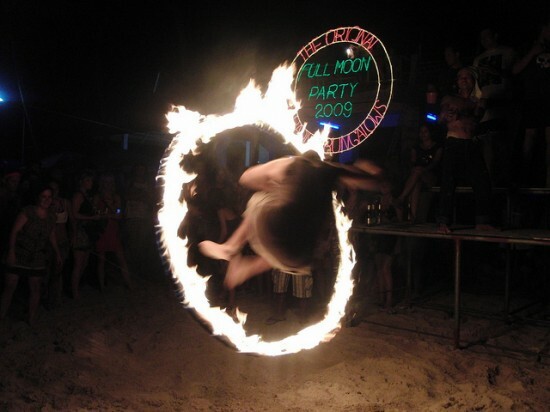 Pay attention to guest reviews to get a feel for how easy it is to get from the hotel to the Full Moon Party, whether you can actually sleep due to noise levels and the general level of cleanliness. Power Beach Resort – runs a shuttle to the party. 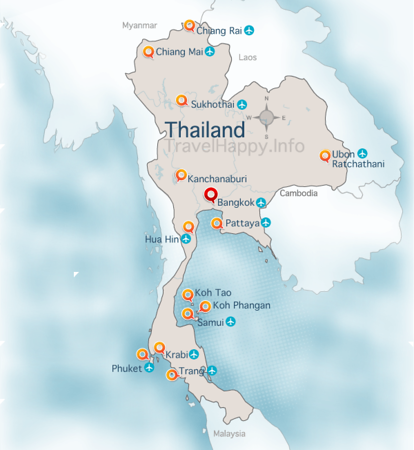 Bus and Ferry: Get the bus and ferry from Bangkok – any travel agent can organise a joint ticket for you. You can fly from Bangkok or Phuket to Koh Samui with Bangkok Airways and catch a Lomprayah Ferry from Samui to Koh Phangan. Check Skyscanner for current prices and timings. This is the quickest and most expensive way to do it. Alternatively, Nok Air offer flights and a ferry transfer from Don Muang Airport in Bangkok to Koh Phangan via Surat Thani. See Skyscanner for current prices and timings. 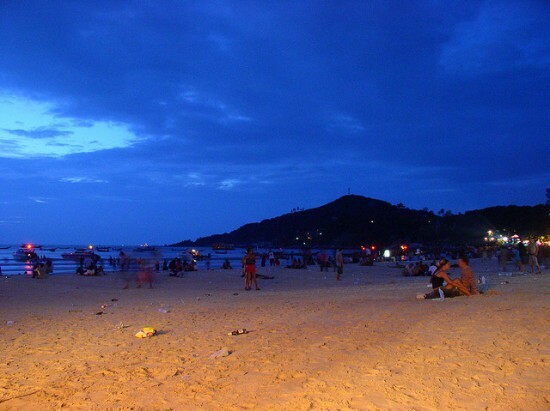 The flight is not direct (there is no airport on Koh Phangan) – the plane flies to Surat Thani and then passengers are transferred by coach to the ferry pier and taken by Lomprayah high speed catamaran to Koh Phangan. Lomprayah is the fastest way to get out to Koh Phangan. The other advantage is that passengers don’t have to worry about buying separate flight and ferry tickets and making connections between the different modes of transport – the Nok Air flight takes care of all of that automatically. Not that Nok Air flights depart from Don Muang and NOT Suvarnabhumi where all international and most domestic flights depart from, so watch out for that). If you’re already out on the islands, you can also catch a Lomprayah ferry from Koh Tao to Koh Phangan – there are several other ferry services too, although Lomprayah is the quickest. 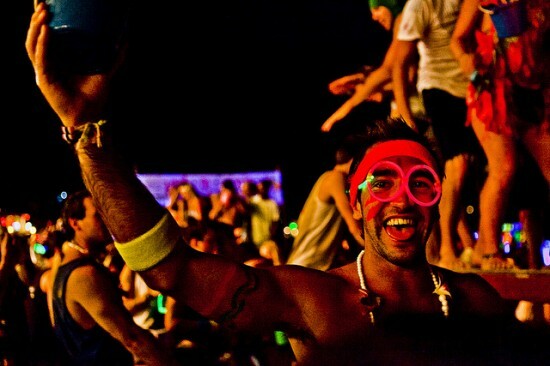 Do not buy drugs – thanks to the Full Moon Party’s notorious reputation, Thai police have a strong presence at the party and cracked down harshly on anyone caught in possession of drugs.